With Black Friday sales all around us, it’s hard not to see those $400 computers without wondering whether it’s worth stocking up on them for your office. Unfortunately, that won’t work – and it’s not just the purchase limit of one machine that should hold you back from trying to save a few hundred dollars on business-class computers. On the surface, business- and consumer-oriented machines may look similar – both may have the same amounts of ram and storage space, and the processors may also seem similar in terms of power. The differences between consumer-class and business-class machines may not make their way onto the first paragraph of marketing copy, but that doesn’t make them any less important. Replacing a business workstation costs much more than just the physical hardware – it can affect technology upstream and downstream from the device, including software, printers, and even the familiarity of the end-user. For this reason, business-class workstations are replaced less often than consumer hardware. Manufacturers generally build their business hardware to last five years for just this reason. They also warranty the products for longer periods of time- if you need a replacement part a few years after purchasing a computer, for instance, the manufacturer will warranty that part and still have a replacement in stock. With a consumer-class machine, you’re likely to have to replace the entire computer, and deal with the consequences dealt to other technology as a result. One of the other implications of businesses keeping hardware for five years instead of two or three is that you can’t just rely on one way to connect a computer to a projector, or a printer, or other device. Consumer hardware has fewer, more current connections – for instance, it might only have an HDMI port to connect an external monitor. Manufacturers know that businesses are much more likely to have an old projector in one of the office conference rooms, so business laptops are much more likely to have an older DVI or VGA port to connect to those projectors. 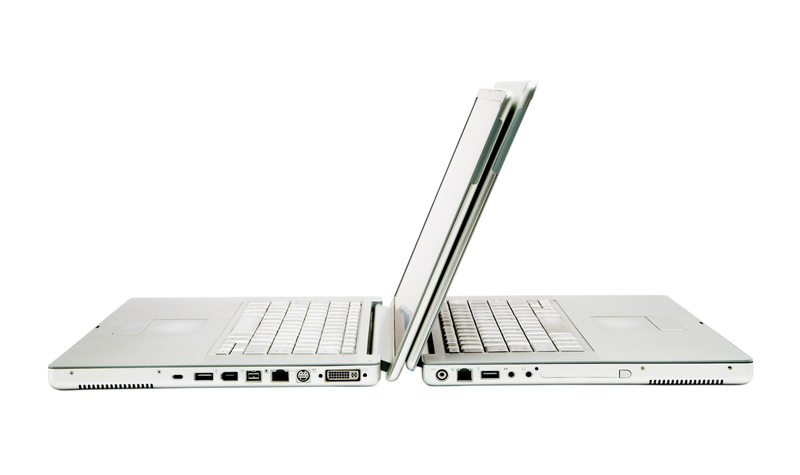 Business-class computers are also more likely to have a desktop dock available – this makes connecting and disconnecting a laptop to desktop monitors, speakers and a wired network a matter of putting your laptop on the dock. Without a dock, connecting and disconnecting laptops from your desk-mounted technology is much more of a hassle. Business hardware comes with motherboards, processors and operating systems that allow remote management. This makes it much easier and less time consuming for IT staff to ensure that computer software stays up-to-date and that network data stays secure. In some cases, operating systems can even be completely removed and reinstalled remotely, eliminating the need for an office visit. Although you’ll pay more up-front for these technologies, they will reduce risk and cost significantly over the life of the investment. To learn more about what hardware makes sense for your office and how we can help you make the best use of your technology, call WingSwept at 919-779-0954 or contact us online.